This is a conversation that I just had with my wife via text message. Me: Sold X copies of iPredict Plus yesterday. Her: That’s because you make amazing things. Me: I know! 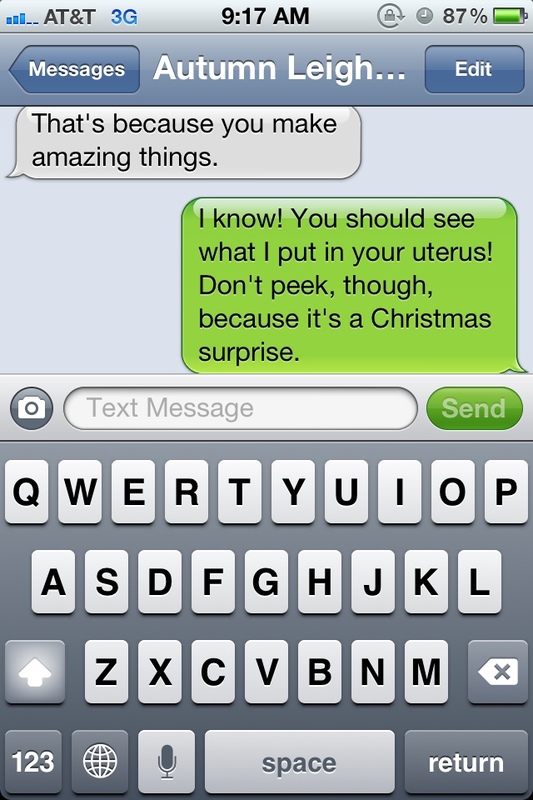 You should see what I put in your uterus! Don’t peek, though, because it’s a Christmas surprise.